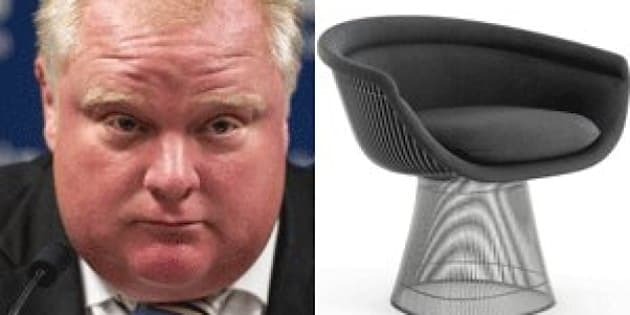 An infuriated Mayor Rob Ford says he owes Torontonians an apology after it was revealed the city spent nearly $75,000 on chairs at City Hall. The Toronto Sun broke the news Thursday night that didn't sit well with the belt-tightening, penny-pinching, gravy train-hating mayor. According to the Sun, taxpayers spent $74,850 to purchase 30 new chairs — at a cost of about $2,500 each — for the members' lounge in City Hall. The room is apparently used to hold private council meetings and host city functions. The chairs were purchased in late 2012 and are replicas of the original Warren Platner chairs which had been in City Hall since the 1960s, were in disrepair and had already been refurbished in the past. The Sun has a photo of the chairs and they look very similar to this image of the Platner lounge chair on knoll.com. On Newstalk 1010 Friday, Ford said he "absolutely" takes responsibility for the controversial deal, and promised to get to the bottom of what he called a "very dumb move" by a city bureaucrat. "I'm responsible for every dime that's being spent and I'm not going to make an excuse," he told Newstalk's Jerry Agar. "At the end of the day, it falls on my lap and I take full responsibility for it and I will guarantee I will get an answer." Unsurprisingly, the deal also angered the Toronto Taxpayers Coalition, which issued a press release Thursday night accusing the city of playing "musical chairs" with taxpayer money. "Rob Ford said he's derailed the gravy train, but it's clearly still chugging along," said coalition spokesman Matthew McGuire. 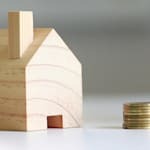 Conservative Councillor Denzil Minnan-Wong – who is rumoured to be eyeing a run for mayor in 2014 – told The Sun he was stunned by the price tag. "Seriously?" he said. "Has anyone heard of Ikea?"